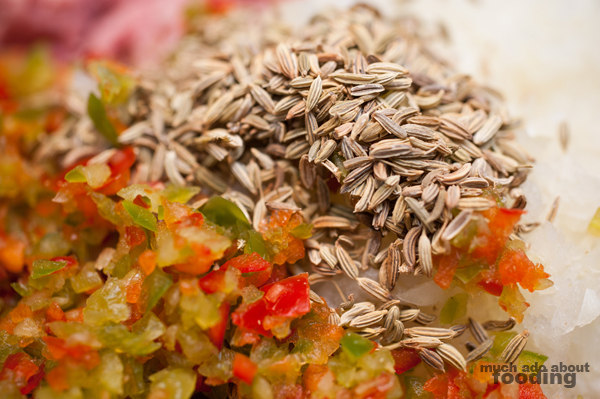 My Test Kitchen ingredient this past week was fennel seed. The first thought that came to mind (and apparently to others' minds) was to experiment with making sausage. My thanks to Michael and Katherine for contributing their suggestions of sausage too. 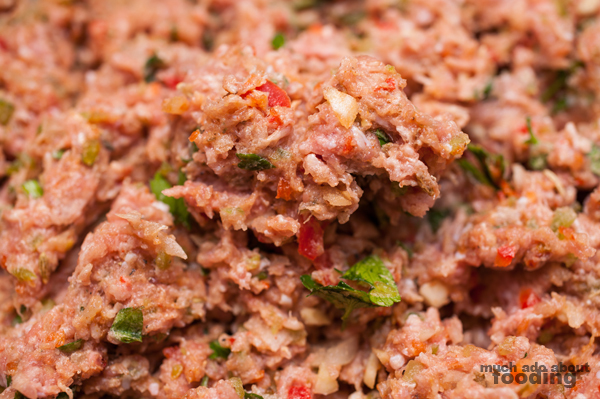 Unfortunately, I do not have a meat grinder or something to encase sausage; however, there is always the possibility of making sausage patties! So, I researched a little bit and came up with a neato recipe based on general things I hoped would taste good together. It passed Duc's taste test so I guess it must be good. Give these a shot! 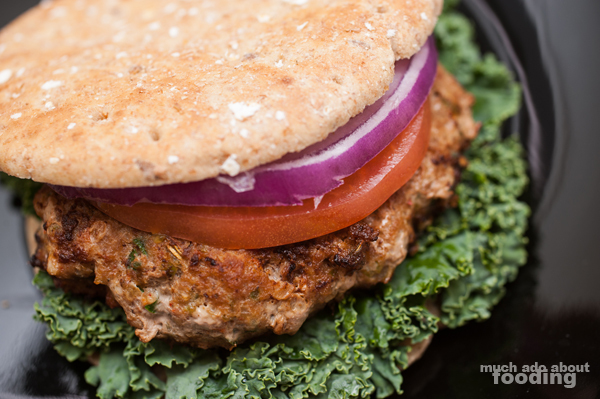 We placed the patties between whole wheat sandwich thins from Costco, fresh kale, thinly sliced red onion, and juicy tomatoes. The most difficult part of this sausage making is probably getting everything to the right size for incorporating into sausage. 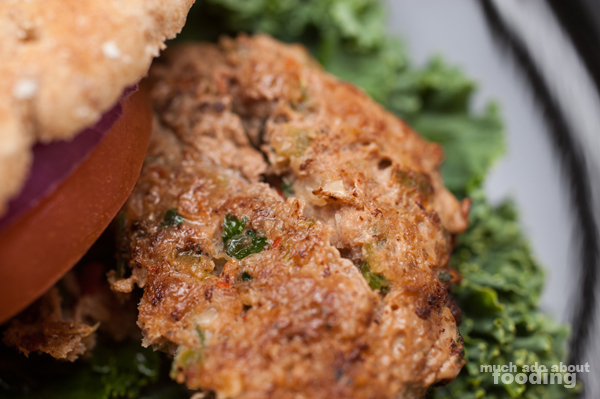 You don't want the onions and peppers too thick or else they won't bind together well with the sausage patty which is already naturally thin because it is made of turkey instead of pork. We used our cheating chopper machine but you can use whatever you have on had. Just make sure that your vegetables are properly sized! 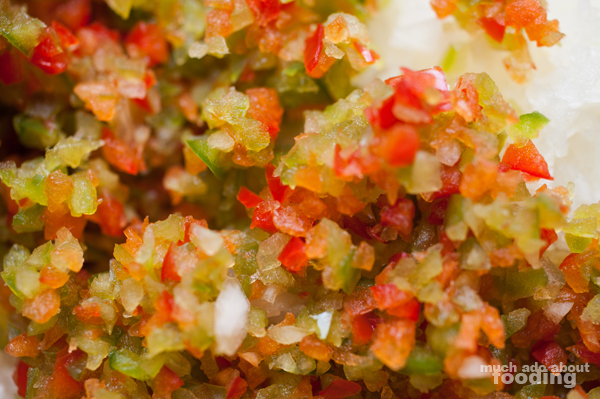 Finely mince your garlic as well. 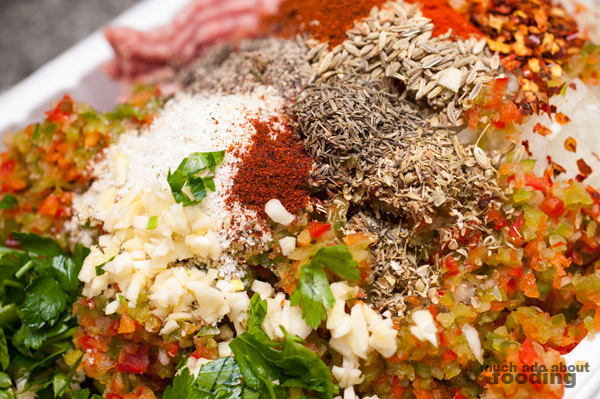 To be put fairly simply, mix all of the above-listed ingredients together! It may require some time as you will need to make sure everything is evenly distributed (and what a long list of spices it is!). 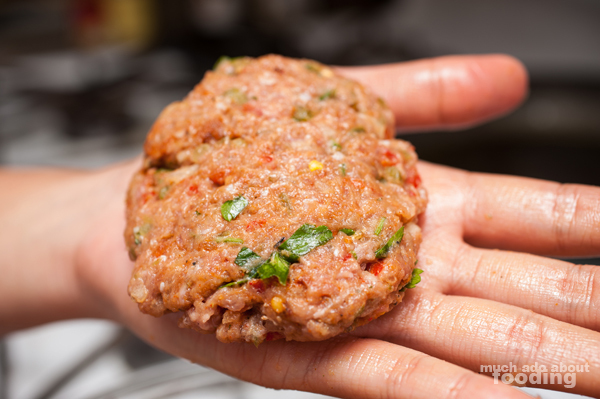 Then, start shaping the patties in the palm of your hand to approximately 1/4 or 1/5 lb sizes. If you are storing away, make sure to have a divider of some sort when stacking such as parchment paper, wax paper, or even plastic wrap. Hopefully your mixture has stayed cold. If not, make sure it is cold prior to frying. 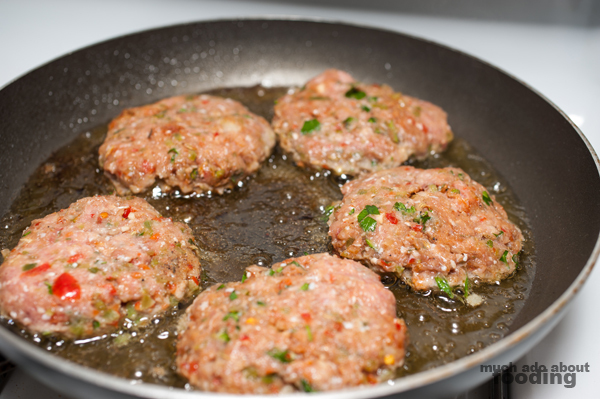 In a large skillet/frying pan, pour enough oil to provide a thin layer on top. 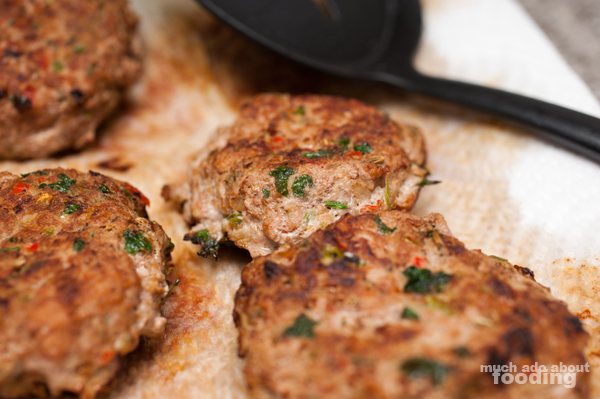 Heat at medium-high heat until hot and then add patties. Cook thoroughly prior to removing from heat. 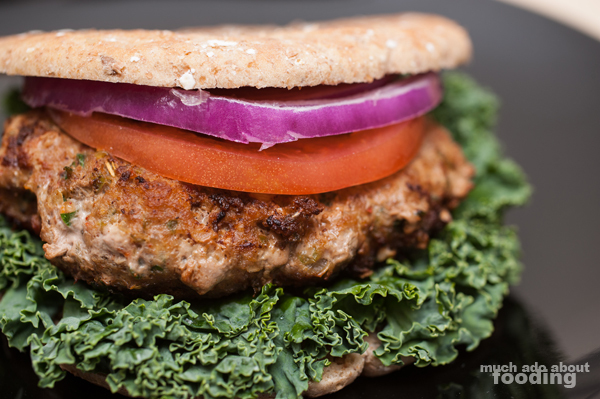 If you are making burgers, arrange patty between vegetables & buns and enjoy! 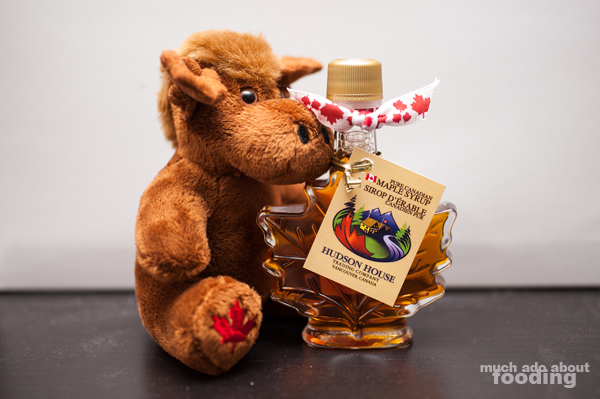 The maple syrup pick for this week comes from my Vancouver trip! Check out the description below and picture (with Murray the moose) on what the ingredient will be. Then, comment on Facebook on what you'd like to see me do with it!